made up of more than 80 professionals specialised in different areas (Gynaecology, Biology, Urology, Nursing and Psychology) led by Professor Bajo Arenas (Professor at the Universidad Autónoma of Madrid, Head of the Gynaecology Department and President of the Spanish Gynaecology and Obstetrics Society) and Dr Martínez de Arenaza. Every day we team up and channel all our experience, efforts and hopes into meeting our main objective: achieving the best results in terms of pregnancy rates. Ever since our foundation in 1987, we have been pioneers in the field of Sterility and Infertility Treatments in Spain. In 1988, our work led to the birth of the first baby resulting from the use of a frozen embryo in Madrid. In 1996, our work led to the birth of the first baby conceived through an Intracytoplasmic Sperm Injection. At present, we treat the largest number of cases in the Community of Madrid. We believe it is very important to foresee the precautionary measures necessary in the event of possible complications. Therefore, the clinic is built within a hospital infrastructure, more specifically within a Maternity Hospital (Clínica Belén), with gynaecologists and anaesthetists on call 24 hours a day and equipped with the most advanced technology. We are aware of the emotional repercussions that the discovery of fertility problems can have on the couple. That is why we strive to provide the couple with the most compassionate and friendly care possible, as well as with all the necessary information. In order to make our patients feel as comfortable as possible in our Centre, we have a Patient Support Team. Made up of 4 people, it is available at all times to answer your questions about the techniques, planning and organisation of your treatment, the costs of the treatments and consultations, medical covers, psychological support, etc. Our contributions to the scientific community through the publication of numerous books in the field of our specialisation, articles in scientific magazines, papers in national and international congresses and the close collaboration with other National and Foreign Centres specialised in Assisted Reproduction. 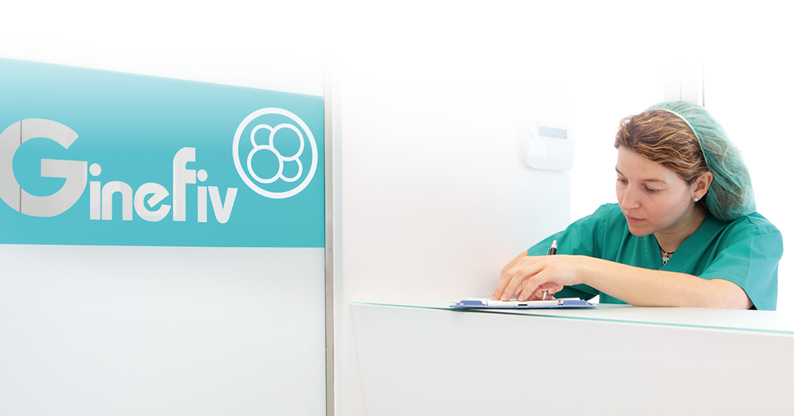 The trust of a great many professionals in the field of human reproduction, who at times refer their patients to Ginefiv for the treatment of their fertility problems (60% of our patients) and others who choose to come to Ginefiv to train and retrain in the field of assisted reproduction.